Katie wants to be a chef. And when the opportunity to work for one of her idols comes up, she doesn’t need to think twice. She was always hardworking so this doesn’t scare her. What scares her is having her ex-boyfriend, the man that still has her heart, competing against her to get the same job as her. 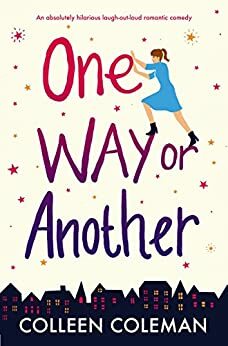 On Goodreads, the book’s title os “One way or another: a totally uplifting laugh out loud romantic comedy”. Well, I wouldn’t exactly call this a romantic comedy. It didn’t find it that funny and the romantic part is also doubtful, but I’ll get to that in a sec. Now, what I agree on is the “uplifting” part. The book really is great on that side! It shows Katie’s struggles, how she worked hard for her dreams and how the first failure is not proof that you can’t do it! Regarding the writing style, it was ok. Sometimes the descriptions were a little too long but the book actually has plenty of dialogues and dynamic scenes, so it worked out well. It’s also really fast-paced, or actually not! Ok, let me rephrase that: it is fast-paced when it comes to her career but not so much when it comes to her personal life. Which leads me to my problem with this book. I’m not gonna lie, I’m here for the romance and this book left me hanging! I like cuddles, and the chase and the unforgettable love and this book has none of that! Her love life is definitely not the most important part of the book. So you’re only looking for some hearts and flowers (like me), this is probably not a good choice for you. Anyhow, if you’re looking for a handful of life lessons and you’re content with a pinkie of love (handfull – pinkie, see what I did there?! ), I would say this is a great choice for you.